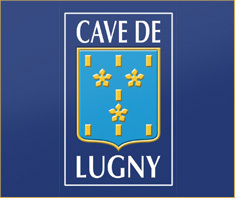 The vineyards of Lugny were already well known in the 18th century, when the wines coming from the vines of Saint Pierre, the Crêts and theGrande Vigne were considered “fine”. 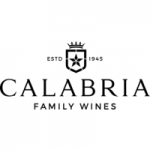 Following the destruction of the vines by phylloxera between 1880 and 1887, the 500 hectares of the village’s vineyards were patiently reconstituted from 1883 and would progressively again become the principal activity of the region. Officially founded the 30th of January, 1927, the « Coopérative Vinicole de Lugny » was the second cooperative created in the Mâconnais region, one year after that of Saint-Gengoux-de-Scissé. It was necessary to answer to the continuing sales problems caused by over production that was hitting French wines at that time. By collecting a communal harvest and vinifying the entirety with grouped sales of the wines and their by-products, the idea was to not only emancipate the winegrowers from the guardianship of the merchant houses, but to also liberate them from the weight of heavy investments while at the same time inciting a qualitative improvement of the harvest. Built on the border of the departmental highway 56, the cooperative was constructed from stones coming from the neighboring quarries of Boucherette and Belzonnois. The building is characterized by its sober facades and the few openings (light being enemy to the conservation of wine). So as to gain surface area, the cooperative would privilege the use of cement tanks and would be equipped with the highest performance materials of the period. Adjoining the main building an apartment for the cellar master was built, important person who oversaw all winemaking operations. Mr. Jules Duvernay was the first cellar master of the cooperative and would occupy this position for a number of years.